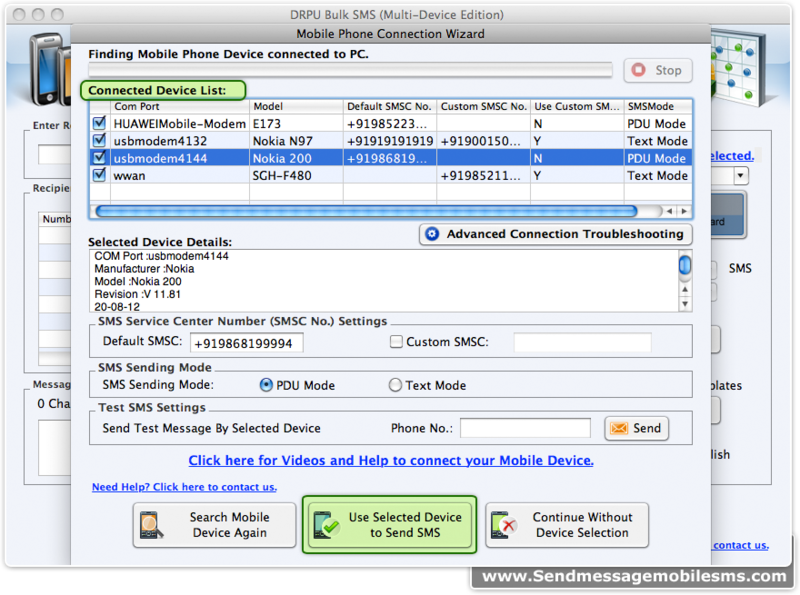 Screenshot displays list of connected devices and details of selected device. 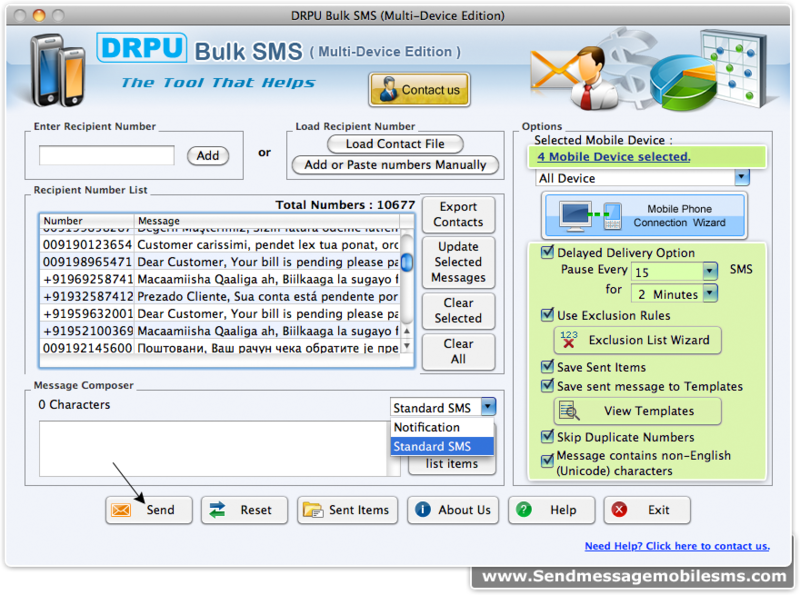 Choose type message (standard or notification) from left panel and select features from right panel then go to send button to proceed. 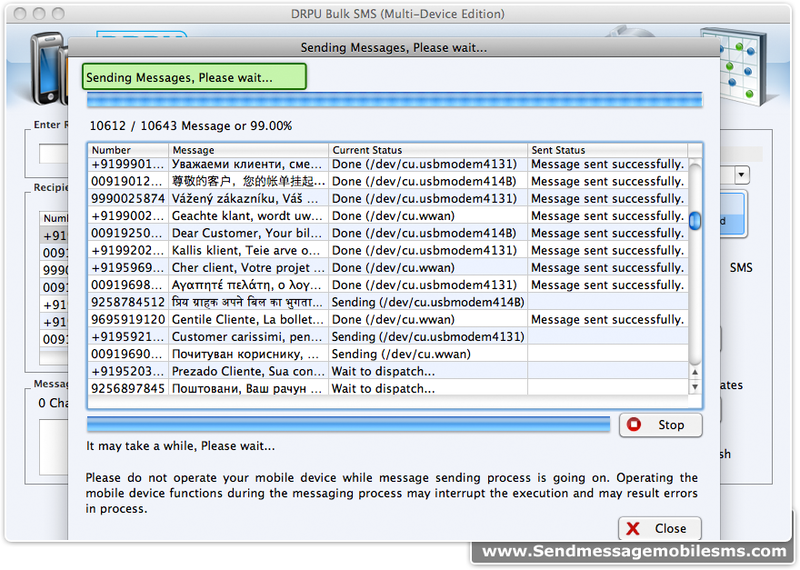 Screenshot shows status of SMS sending process.